What will a smart city full of drones look like? One way industry leading scientists are answering that question is by posing another one: when it comes to drones, what does it mean to be autonomous? Our current understanding of a drone isn’t what it used to be, and today’s definition is changing. The first drones were military, though currently there are many more civilian drones than military ones. Architectural mapping, search and rescue, utility surveying, firefighting, and medical deliveries are applications being transformed by drones, already. 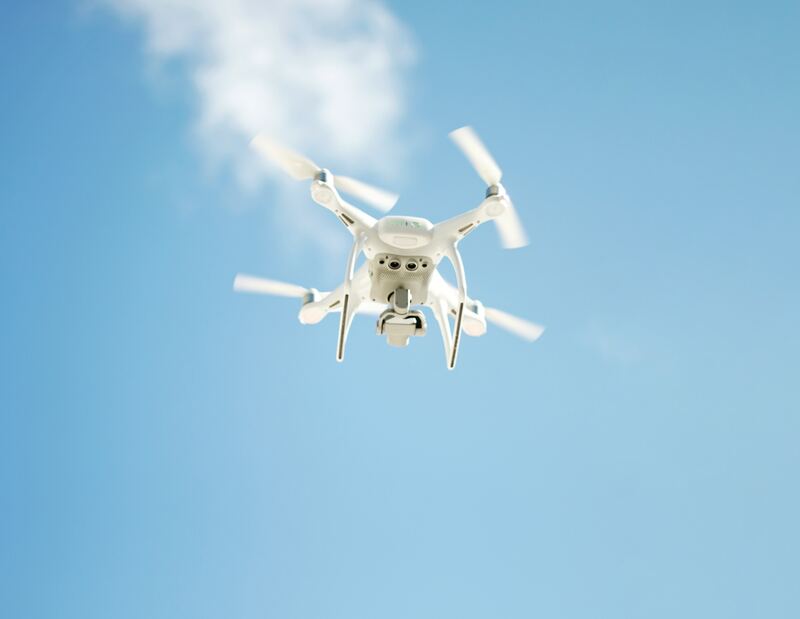 Their applications and number is expected to keep multiplying--the Federal Aviation Administration (FAA) expects 7 million drones in the US by 2025. You may have seen a kid flying their drone at the park or news of airports being delayed because of near misses due to reckless drone operators. Or you may have yet to actually see a drone flying in real life. No matter your current exposure to UAVs, it’s inevitable that drones will be part of your future. Researchers at the University of Toronto's Institute of Aerospace Studies have conceptualized a drone that can fly autonomously and react to stimuli. "The vehicle would fly with GPS, and then if GPS gets lost, the vehicle could fly back completely based on vision," said assistant professor Angela Schoellig, who oversees the school’s Dynamic Systems Lab. In Canberra researchers are trying to solve the same problem, but by using an Xbox Kinect sensor as an input camera. Then there’s actual air taxis, which the manager of Intel’s drone group, Anil Nanduri, suspects are about 10 years out. “The most amazing thing about autonomous air traffic is that airspace solves the three-dimensional challenge that the ground traffic is faced with,” said Nanduri. But, a realized dream of autonomous air taxis--as well as drone deliveries and other at-scale drone applications--faces many regulatory and economic challenges. The implications of autonomous drones is far-reaching. AI and machine learning becoming more integrated into drone technology will not only mean helping business and society, but automating it in a way marked by efficiency. But there are a few major barriers and many years before society is there, yet. Click here to learn how WhiteFox is providing a framework to manage autonomous vehicles.